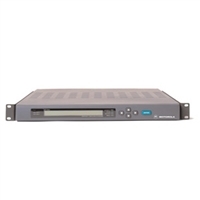 The Cisco D9824 Advanced Multi Decryption Receiver (Figure 1) includes a built-in decoder that can decode an MPEG-2 or MPEG-4 Advanced Video Coding (AVC) high definition (HD) program for analog monitoring or a standard definition (SD) down-conversion for composite. Decoding of an MPEG-2 or MPEG-4 AVC SD program is also available for analog. By supporting decryption of up to 32 Cisco PowerVu encrypted programs, this single receiver allows you to efficiently receive and distribute multiple programs. The Cisco® D9854-I Advanced Program Receiver (Figure 1) is designed for satellite and terrestrial content distribution applications requiring Digital Video Broadcasting - Satellite (DVB-S), Digital Video Broadcasting - Satellite - Second Generation (DVB-S2) and IP reception capabilities with advanced digital outputs for digital tier program distribution. A built-in decoder can decode an MPEG-2 or MPEG-4 Advanced Video Coding (AVC) high definition (HD) program for analog monitoring, or a standard definition (SD) down-conversion for composite. MPEG-2 or MPEG-4 AVCSD programs can also be decoded for analog and SDI output. D9854-I comes with RF, ASI and MPEGoIP input combined with a high-quality SDI or HD-SDI output and optional MPEGoIP output. The Cisco D9859 platform extends the distribution options for MPEG-4 Advanced Video Coding (AVC) HD from MPEG-4 only environments to existing MPEG-2 networks. Support for up to eight simultaneous high-definition or standard-definition (SD) channels of decryption and transcoding provides the advantage of density for locations requiring more than just a single channel. The Cisco D9859 can provide up to 8 down-converted MPEG-2 standard definition programs or MPEG-2 high-definition transcoded programs along with decrypted passthrough of the incoming programs. Video and two audio outputs are available for analog down-conversion for one of the decrypted incoming MPEG-4 high-definition programs. 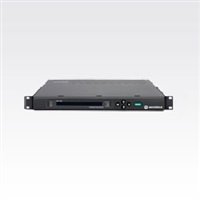 The base Cisco D9859 comes configured for 1 HD and 1 SD output with dynamic licensing options to upgrade the unit in the field locally or over the air using the Cisco PowerVu Network Center system, supporting a pay-as-you-grow model. The NE1101L utilizes the same tried and true technology as the NE1100L in an indoor rack-mount design with many additional features. Features include LCD display, status monitoring, and front panel controls making it simple to operate. The new DSR-4402X IRD from Motorola brings the latest technology advances from the recognized leader in satellite program delivery. Building on the DigiCipher® II platform, the DSR-4402X IRD is affordable and easy to use. Start with the new packaging design that fits in a standard 19" relay rack and requires only a single rack unit of space. The DSR-4402X is designed to deliver outstanding video and audio performance in either DigiCipher II or DVB modes. This receiver can output either NTSC or PAL video formats, automatically matching the programmer's video format. With a variable front-end and bypass capabilities, the DSR-4402X is ideally suited for network conversion from analog to digital. Full VBI reinsertion on lines 10 - 22 for SID/AMOL I & II and NABTS is standard on the DSR-4402X. Now equipped with DVBASI, the DSR-4402X is ready to connect to the rest of your head-end equipment. Building on the DigiCipher® II platform, the DSR-4530 IRD is affordable, easy to use and designed to deliver excellent video and audio performance. This receiver can output either NTSC or PAL video formats, automatically matching the programmer’s video format. Equipped with DVB-ASI input/output and Gig-E output, the DSR-4530 is ready to connect easily to the rest of your headend equipment. For signaling existing headend equipment, a DSR-4530 DTMF tone generator interoperates with ad insertion systems. The Cisco® D9800 Network Transport Receiver (Figure 1) is the most versatile receiver designed offering hardware configurability and Over The Air (OTA) licensing that allows content providers to customize the product to support the gamut of their applications. Designed to support High-Efficiency Video Coding (HEVC) and Ultrahigh-Definition (UHD) delivery over satellite and IP terrestrial content distribution networks requiring Digital Video Broadcasting - Satellite (DVB-S), Digital Video Broadcasting - Satellite - Second Generation (DVB-S2), and IP reception capabilities, it future proofs the next network expansion. 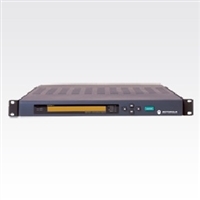 The D9800 chassis is available in a single stream variant for decoding to baseband digital or analog video and multi-stream variant for bulk decryption and high density transcoding applications. The single stream variant focuses on single service video decode applications. 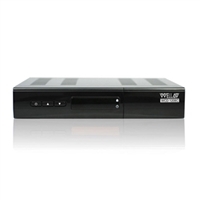 The integrated video decoder can decode an MPEG-2, Advanced Video Coding (AVC), or HEVC video-encoded service and output the Serial Digital Interface (SDI) or composite uncompressed video. The D9800 is capable of outputting simultaneous High-Definition (HD) and down-converted Standard Definition (SD). The multi-stream chassis is targeted towards applications that require decryption and/or transcoding on multiple video services within a transport stream or multiple transport streams. The optional satellite front end has four demodulators for sourcing content across transponders. The multi-stream chassis can decrypt up to 32 PowerVu services and transcode up to 16 services of AVC to MPEG-2 making it ideal for content providers carrying a high number of channels. The optional high density HEVC card adds the ability to transcode from an HEVC encoded source. For content providers exploring migration from satellite distribution to IP, the D9800 offers several options that enable content providers a path to a graceful migration. MPEGoIP is available for leased line fixed bandwidth applications as well as Adaptive Bit Rate (ABR) and Zixi for transmission over the Content Delivery Networks (CDN). For these use cases, the outputs of the receiver remain transparent so any output application can be served with these new input sources.